Set new fashion standards: The extravagant sandal by Tamaris shows off its best side with an elegant design. 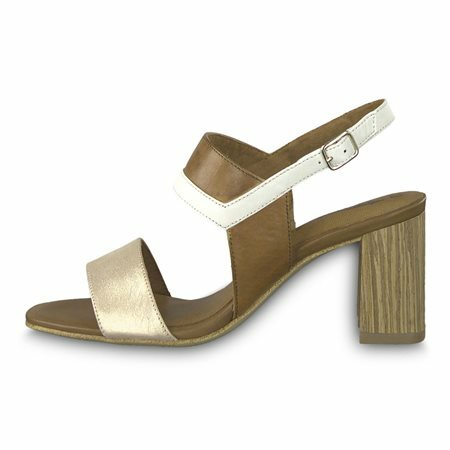 They offer many different ways to skillfully set themselves with the help of beautiful everyday looks and ensure that nothing stands in the way of a feminine appearance thanks to the 7-cm block heel. The upper made of leather proves to be particularly comfortable, whereby the broad straps and the rear buckle afford a pleasant hold on every occasion.